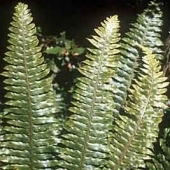 In some species, fronds formed by a juvenile fern are very different to those formed when the same plant reaches maturity. 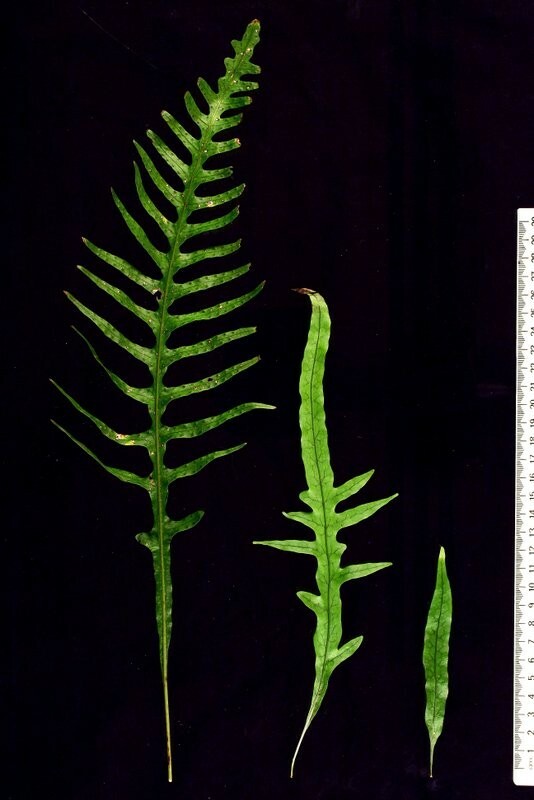 Because plants of different ages often grow together there is often a confusing mixture of leaf forms. 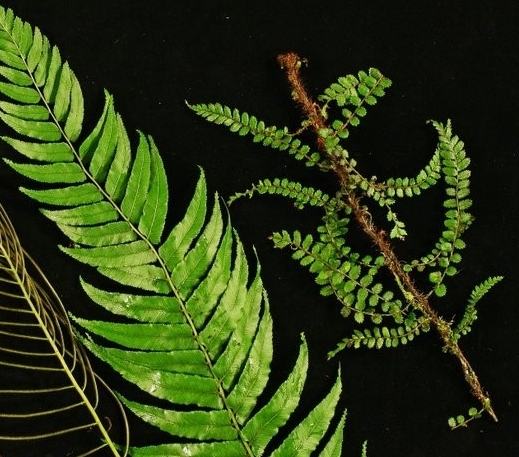 Microsorum scandens, mokimoki, fragrant fern - The fronds from juvenile plants are undivided, those of the mature plants are pinnate and plants of intermediate age are a combination of both. 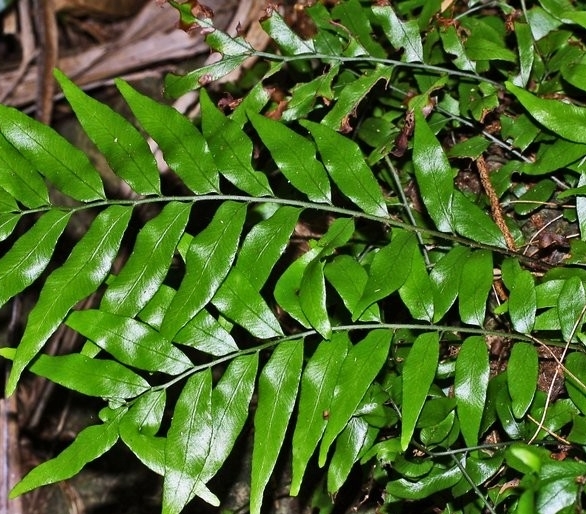 Blechnum filaforme, thread fern - Fronds from both juvenile and mature plants are divided into leaflets but these differ in size and shape. 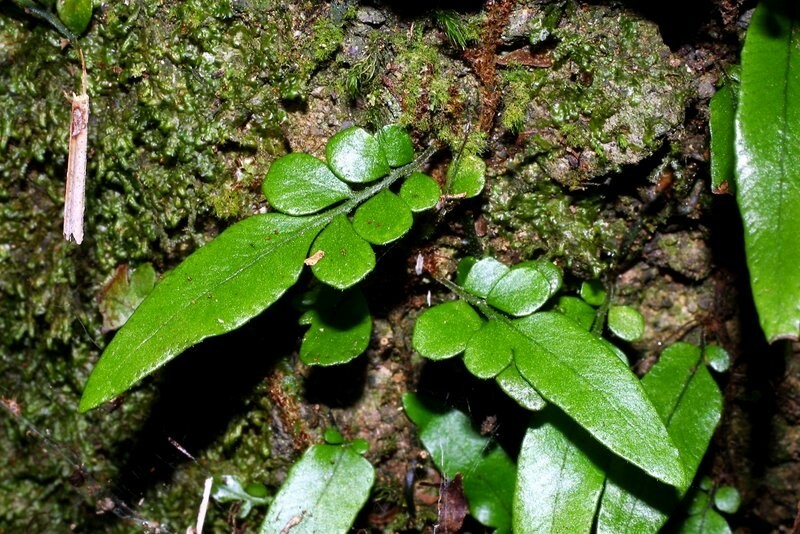 Arthropteris tenella, jointed fern - Fronds from juvenile plants are undivided or partially divided into small, round leaflets. Arthropteris tenella - Fronds from mature plants are much larger and entirely pinnate with numerous long, narrow leaflets.